The incident sparked massive protests in communally sensitive Kishtwar district. 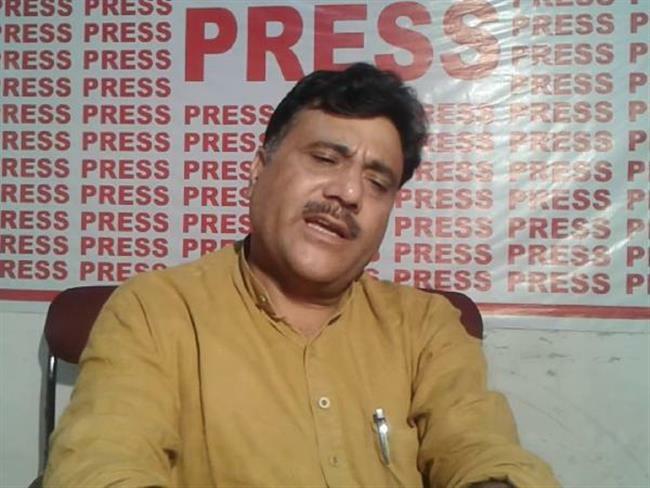 BJP’s Jammu and Kashmir secretary Anil Parihar and his brother Ajeet were shot dead at point-blank range by unknown gunmen at Kishtwar in Jammu division on Thursday evening. “The two brothers after closing their shop were going home when the assailants opened fire. They took bullets in the upper body and the head. They were declared dead at the local hospital,” said a police official. The authorities imposed an indefinite curfew on the town as a “precautionary measure.” An official said the attack took place at Tapal Gali, a narrow lane, close to the residence of the BJP leader. “A hunt has been launched to nab the assailants. We are investigating who are behind the killings,” Senior Superintendent of Police, Kishtwar, Rajinder Gupta said. Before joining the BJP, Mr. Anil had contested the 2008 Assembly elections on the J&K National Panthers Party ticket from the Kishtwar constituency. His brother was a government employee, who also owns a stationery shop. “The brothers after closing their shop were going home when the assailants opened fire. They took bullets in the upper body and the head. They were declared dead at the local hospital,” said a police official. Deputy Commissioner Angrez Singh Rana, who decided to impose curfew on the town, warned the administration of “violent reaction endangering property and lives of locals.” The Internet service has been suspended in the region. The incident comes at a time when J&K is set to witness a nine-phase panchayat poll this month. Former Chief Minister and National Conference vice-president Omar Abdullah offered his condolences. “It’s sad news. My condolences to Anil and Ajit Parihar’s family and colleagues,” said Mr. Abdullah.